Monique Chartrand is the Director General at Communautique. Courtesy of Communautique: Substance CC license applies to it. The need for organizations (public, private or community-run) to innovate is not new. In today’s world—which is characterized by volatility, uncertainty, complexity and ambiguity—innovation has become central to developing new solutions to increasingly complex challenges. While innovation has been traditionally associated with the academic world or major corporations, we’re recently witnessed a shift in interest toward community-driven innovation. The new “2014-2019 National Policy on Research and Innovation” recognizes Living Labs as a new alternative for research-action projects. 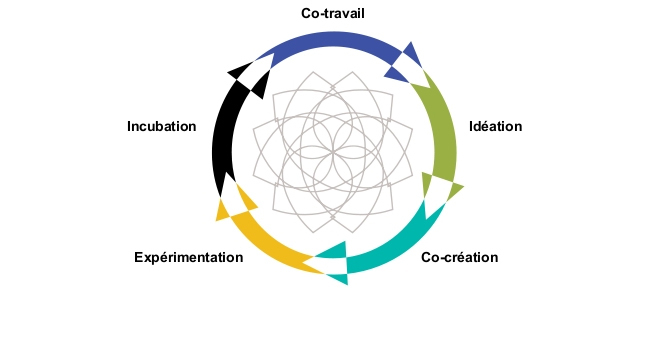 The Living Labs movement was structured in 2006 with the creation of the European Network of Living Labs (ENoLL) and has led to a user-driven approach to innovation, as opposed to the traditional user-centred approach. In order for users, and especially community members, to be able to spark innovation, various processes, physical spaces and tools are needed to help them express their needs and wants—an exercise that is necessary if they want to move forward with finding creative solutions to these desires. Digital tools are considered key to social and technological innovation. More and more, the masses are gaining access to innovation. In Quebec, a dozen living labs have popped up since 2010. In this context, “third spaces” contribute to this new paradigm of community members as a source of innovation. Third spaces are places where community-based and economic participation occur and where collective intelligence is processed. 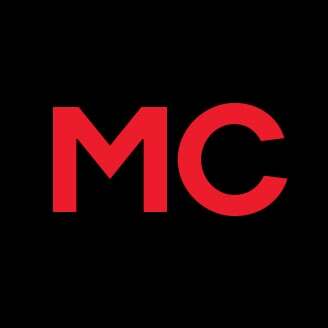 They include Fab Labs, MediaLabs, co-working spaces, etc. Montreal—like many other creative cities, such as Barcelona, Amsterdam and Berlin—is fertile ground for third spaces. Moreover, private and public organizations are now acknowledging the innovative potential of these spaces and looking to develop their own so that they can work more closely with users and the community. These organizations, however, have a need: ensuring facilitation in the spaces and processes through proper hosting. Simply providing a physical space will not result in community-driven innovation. Organizations need to know how to invite citizens, welcome them, listen to their needs, identify their wants, offer them tools, etc. In many cases, you have to reactivate their ability to dream and to express themselves. In short, you have to give them the tools to help them take on their roles as innovators. The role of the facilitator within community participation spaces is key. Beyond acting as a master of ceremonies, they also act as mediators for community-driven innovation. In response to this reality, Communautique drew on its expertise in training “multipliers” and developed a Community Innovation Mediation program for Mandalab, its own living lab. The program’s objective is to train “co-designers,” individuals who are able to work with the community on the creation of new projects, services, etc. They employ co-design methods, in which users/community members are the engines of innovation. They have set up internships and residencies that aim to offer various audiences—CEGEP or university students, professionals, artists and business people—opportunities to carry out social, technological or economic innovation projects directly in the field, within public and private organizations. The program aims to strengthen connections between first-timers/new practitioners who are looking to learn new skills and/or use their experience within community co-design innovation projects and organizations interested in exploring or adopting practices that can help them get closer to local residents and involve them in projects. Once they learn the co-design skills and methodology developed by Mandalab, the Art of Hosting and design thinking, interns and residents set up and facilitate meeting activities with community members so that together they can plan new projects that are in-line with their needs. 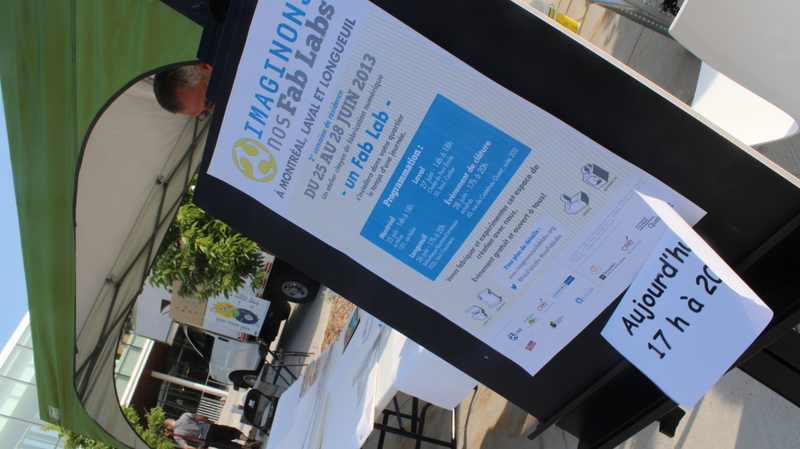 The video below introduces the community co-design process at Imaginons Saint-Marc. “What might the Saint-Marc site look like if it were transformed into a space that was open to the community? An inspiring, inclusive and sustainable meeting place for residents of the neighbourhood and the city?” The process included three weeks of community activities at a church in the Rosemont–Petite-Patrie area. The project was developed by Mandalab, percolab and Grisvert. Recruitment and partnerships: Through its network of academic and grassroots partners, Mandalab promotes helps create closer ties between the students, graduates and professionals who are looking to practice and learn and the public and private organizations that want to include community members as stakeholders in their projects. Training and coaching: Mandalab establishes a training and coaching structure to guide interns and residents throughout their experience as they work with organizations. This structure is based on collaboration and learning from peers. Community and visibility: Mandalab offers various activities and tools to mobilize, foster and provide visibility to the community of co-design practitioners. This includes holding seasonal events to showcase projects and an online discussion forum for practitioners. The program falls under Communautique’s greater vision to create an open ecosystem approach for projects. The idea is to mobilize local residents and rally them around social challenges, with community participation being the key to innovation. Thanks to its community of practice and community co-design projects, Mandalab has a direct positive impact on local capabilities. Plus, it helps integrate these new capabilities in public and private organizations. Mandalab hopes to create a snowball effect in which participants become agents of social change who spread both the vision of community participation and the new collaborative practices to public and private organizations. Ultimately, Communautique’s purpose is to develop tools and institutional partnerships to support the development of the program. Courtesy of Communautique: Substance CC license applies to them.